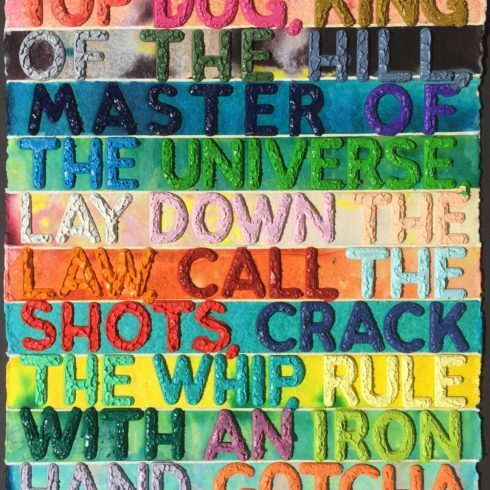 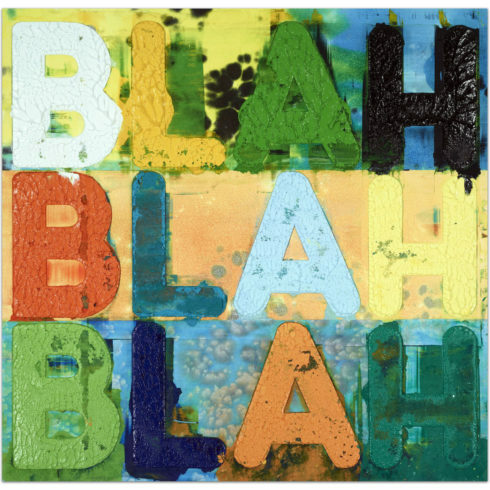 Mel Bochner, Blah Blah Blah is a unique Monoprint with collage, engraving, and embossment on Twinrocker handmade paper. 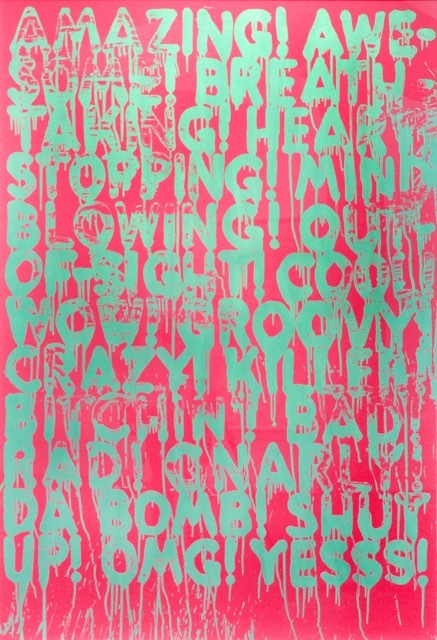 This print is signed and dated. 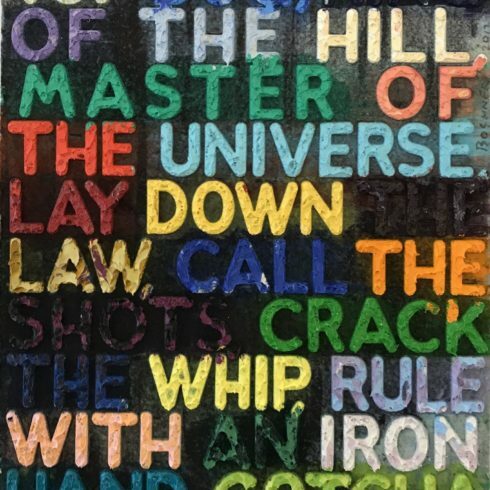 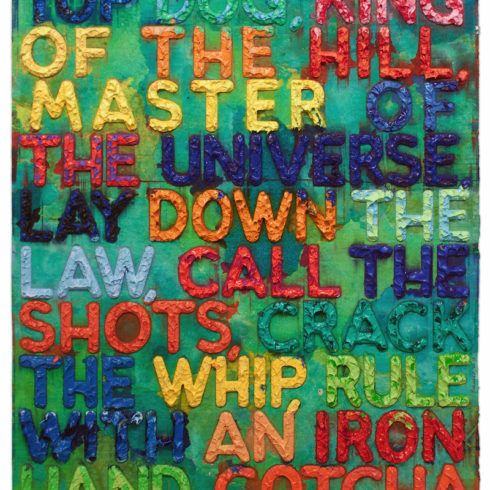 Mel Bochner is an American Conceptual artist best known for his text-based paintings. 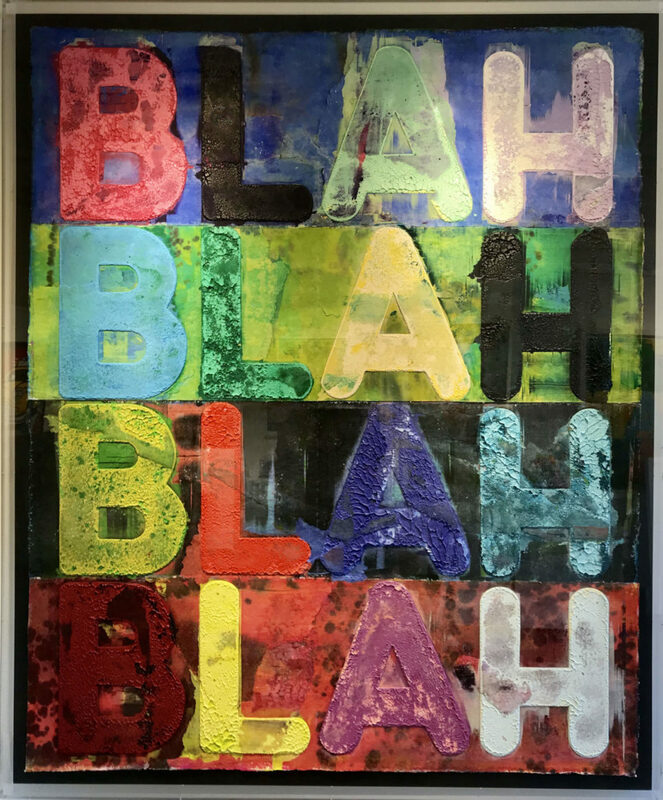 Bochner’s popular thesaurus painting series, including Blah blah blah, consists of lists of synonyms displayed in rainbow-colored palettes, often featuring a single word repeated in painterly capital letters, as seen in his seminal piece Blah, Blah, Blah (2008).